FiftyFifty Brewing Co.: We're getting distributed!!! Another milestone for FiftyFifty Brewing occurs today at 2pm. The first kegs of Mainfesto Pale Ale are being picked up by our distributor NorCal Beverage of Loomis, CA. These kegs are headed to Tahoe City, CA. To a bar know as Jakes. 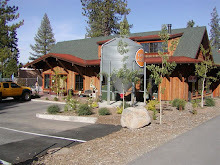 It's a great day to as I can't think of a greater thing than being able to enjoy a FiftyFifty brew on the North Shore of Lake Tahoe!!! Keep an eye out as we acquire more handles on the California side of the lake. I knew I would track you down.